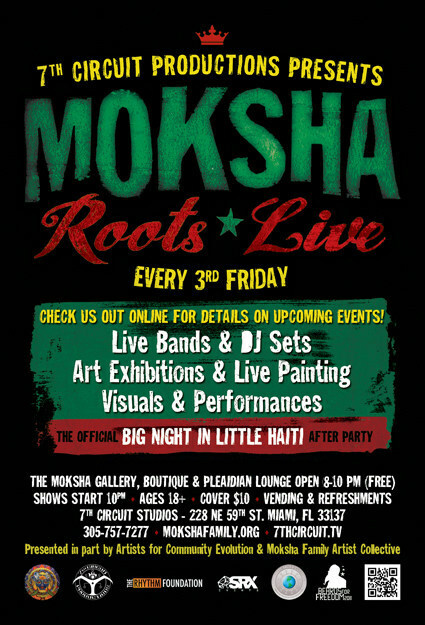 7th Circuit Productions and Moksha Family Arts Collective presents Moksha Roots Live, the official after party for The Rhythm Foundation’s Big Nights in Little Haiti.! Come out to party and vibe with us and support this ongoing monthly roots jam that brings together all the diverse roots of Miami through music. Prinsip Band is a local Little Haiti band, they are known as the Youngest Haitian Band in Miami. This band has an assortment of musical style. The root of the band is Kompa with influences of jazz, rock, and Spanish and Caribbean flavor. After being together for 2 years they are currently working on an album to be released in the near future. for Moksha Roots Live 04/20. This groups sound recalls the patient, psychedelic grooves of Nigerian legend King Sunny Ade with a little Woodstock thrown in, at others, it speaks to some illicit rendezvous between hip-hop, droning sitars, funk, and the Afro-Cuban entire. Dark, hypnotic, defiantly unpredictable, and hailing from the psychedelic underbelly of Miami’s most lawless neighborhood; Little Haiti. 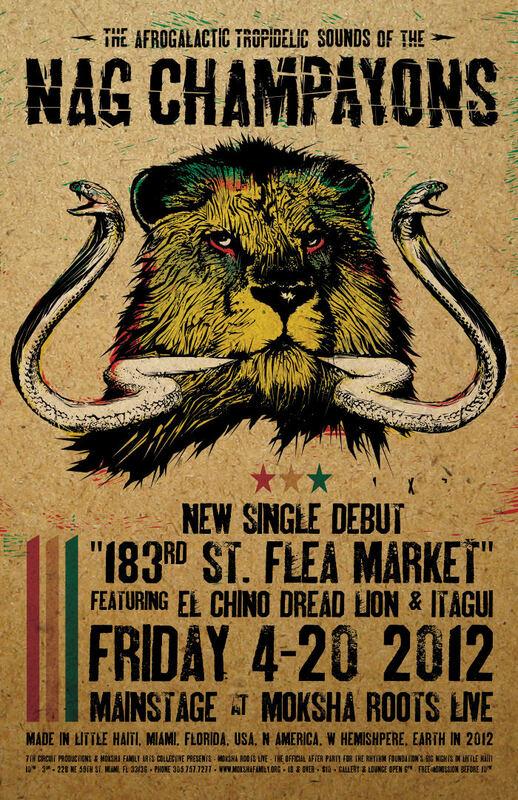 spinning a chilled out soul-dub set w/live performance art. we feature world renown visionary artists as well as our local Miami artists. Exhibiting a portion of his work described as Shamanic Artwork.